Proudly crafted in the USA, this Finisher is part of the latest addition to the Easy Wood Tools line - Easy Start Tools, which allow woodturners of any skill level to begin using quality carbide tools at a low start-up cost. The Easy Start Finisher features a 3/8" x 3-1/2" long square steel tool bar with a protective black oxide finish, a 9" maple handle with a traditional style grip, and best of all it utilizes genuine EWT replacement cutters - the same cutters that are used on the premium EWT mini tools. 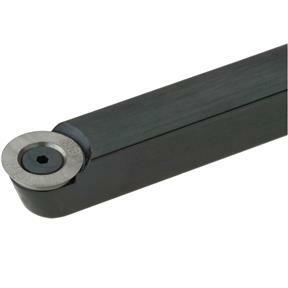 The cutters are designed so that you do not have to find the bevel when turning. Simply advance the tool slowly into the workpiece and begin cutting straight in, or sweep the cutter from left to right, or right to left. 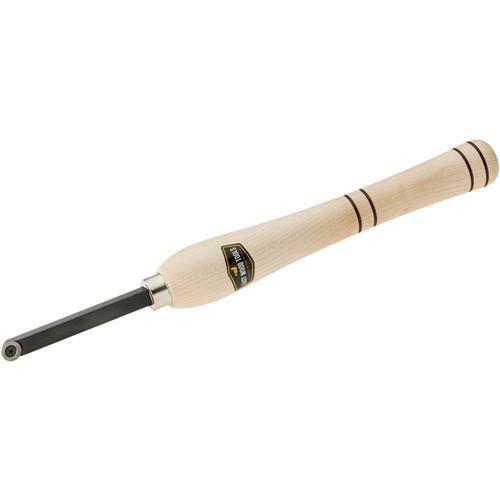 You will find this tool invaluable for those smaller more intricate turnings, such as pens, ornaments and smaller bowls, as well as for roughing, finishing and detail work.